Автор: News agency "Russian News"
Algirdas Paleckis (Chair of «Socialist People‘s Front», member of human rights movement «World Without Nazism»). Photo Yaroslav Moshkov, News agency «Russian News». Interview with Algirdas Paleckis (Chair of «Socialist People‘s Front», member of human rights movement «World Without Nazism»), on the political repression in the EU-member state Lithuania. 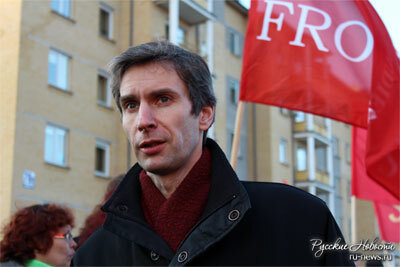 A. Paleckis is accused of denying the so called «aggression of USSR against Lithuania on 13th of January, 1991». On that day 14th people were killed but nobody could prove so far who killed them.